Dialandroid: Samsung Gear vs Gear Neo : Which one you should buy? Samsung Gear vs Gear Neo : Which one you should buy? Samsung recently launched next generation of Gear wearable devices along with Galaxy S5. Gear Fit is quite different from Gear 2 and Neo since it is only a smart fitness band, but might get confused in picking one between Samsung Gear 2 and Gear Neo. Read on and this article will help you in making the wise decision. All other features remains same. So basically you are paying $100 extra for a 2MP camera and chrome finish. 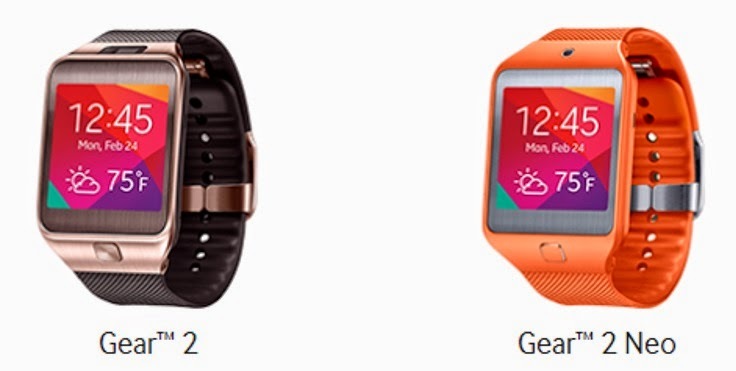 Also AT&T is running promotion for $50 off on Gear 2 or Gear Neo with qualifying Galaxy S5 purchases.